2019 was not going to be an exception…The 3d food printing conference 2019 is back! This is always exciting. Something new will change the game? One of the very few opportunities to have a 3d food printing immersion with professionals in the field. 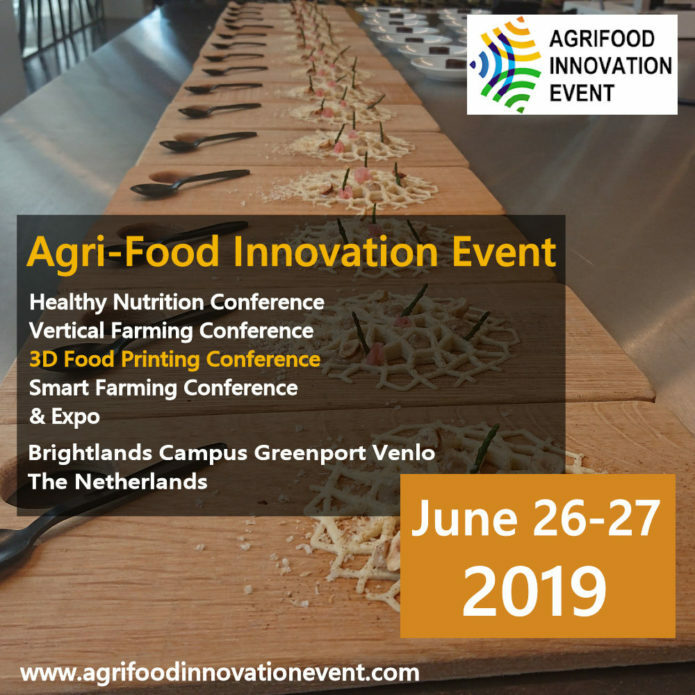 3D Food Printing Conference 2019 takes place on June 27, 2019, as part of a two-day agri-food event that also includes dedicated conferences to healthy nutrition, smart farming and vertical farming. The conference will focus on topics such as 3D food printing, materials, textures, laser cooking, molecular gastronomy, food research, insect cultivation, protein alternatives and more. Hi, everyone. This is Luis. 3DigitalCooks is back with a new 3d food printing workshop. But let’s not go so far just yet. 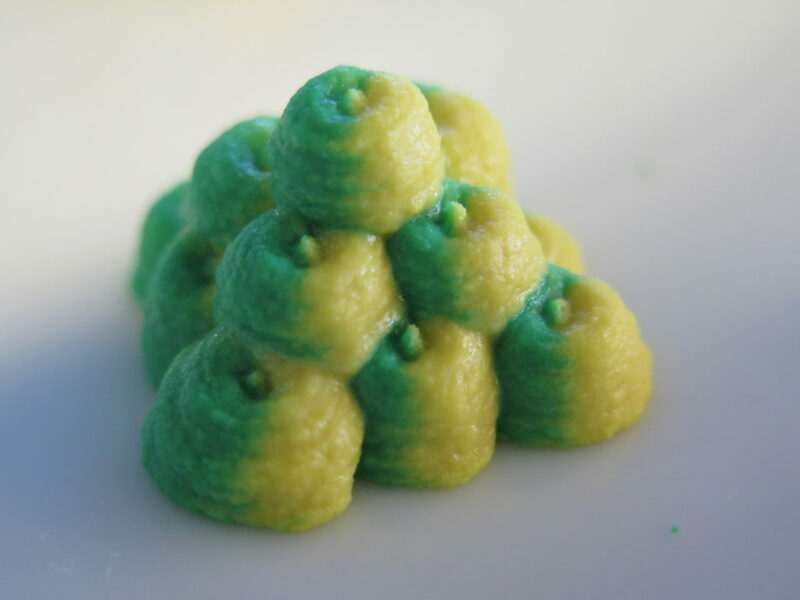 This 101 workshop will introduce our attendees to 3d food printing in a creative, fun and hands on way. 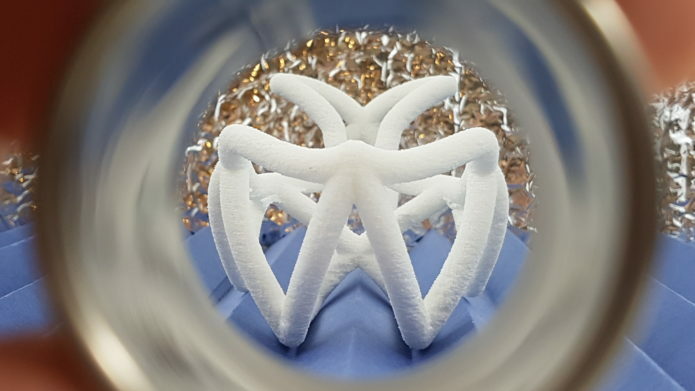 Understanding how 3d food printing is a new tool in the kitchen, the same way a blender is, BUT with tremendous potential specially in creativity. So what is the content of this workshop some of you may ask. Having fun is the key for this 3d food printing workshop and this is important because we believe is the right approach to learn about 3d food printing. With that in mind, along the workshop we will start form scratch understanding the importance of 3d food printing, what it is and how it works. We will take some time to explain about the key aspects of it, design, food and techniques but at the same time having a hands on experience with printing pastes and powders techniques. Looking forward to have fun together and sharing my passion/obsession on 3d food printing with y’all! Back after a period of dead silence. I hope you all are alright. Today we have a recent interview I did with Lynette Kucsma (Sorry again, I always misspelled her surname) during the visit I did to Natural Machines a few weeks ago. Remember to check all the past interview here. March, 2017 already. Time flies, faster than we would like but, well, that one thing its the same for all of us. This time our weekly adventure is moving the ZCorp printer, again. To New Lab! I have been recently accepted as a Fellow there, so I get to have more space for my experiments. Thanks a lot to TK from the Thai Bird for helping me out and my wife to! Moving a 100 kilos machine it has some challenges, specially when there is no elevator involved. But lessons learned from the first time. Luckily everything went well and the printer has already a new home. Time to start working on some new projects! Any suggestions? In this week’s video we cover one of our old ideas, still pending to explore. In this case nothing but a pepper grinder transformed into a powder extruder that include a nozzle within. This idea was born and execute during my time at Pier 9. the goal was to merge textures within one print, explore supports. Soon more information. Do you have any idea on how we could use it? Let us know we are open to try. We are really interested using and combining alcohols and sugars to burn them. Previous test with just the power where really fun, excited to redo them and share them with you! Does this video triggers any idea for a recipe? Contact with us! This week we get an sneak peek of the XYZ’s 3d food printer. I have to apologize first for the horrible footage that I took. I hope at least you get to understand better how this nice 3d food printer works! This week we get a short, but intense update on how the awesome people from Print2Taste are doing after delivering their succesful Bocusini crowdfunding campaign. Remember to subscribe for more weekly 3d food printing adventures! Continuing on our podcasting journey in 3D Food Printing we have a special chapter: Intro to 3DFP for MAKERS! This is a special chapter because it correspondes with our latest collab: 3DIGITALCOOKS x Pinshape. Big shoutout to Lauren Watkins and the whole Pinshape community for welcoming us with open arms and allowing us to help explain how to get into 3D Food Printing for Makers. 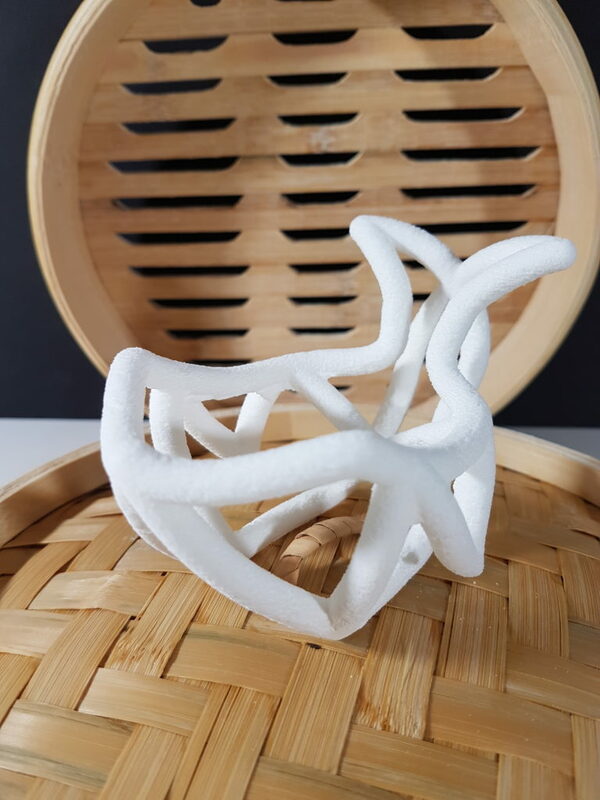 A couple of the great things about getting started with 3D food printing as a Maker is that there is already a skill set and more importantly a frame of mind that allows the Maker to move quickly in 3DFP. 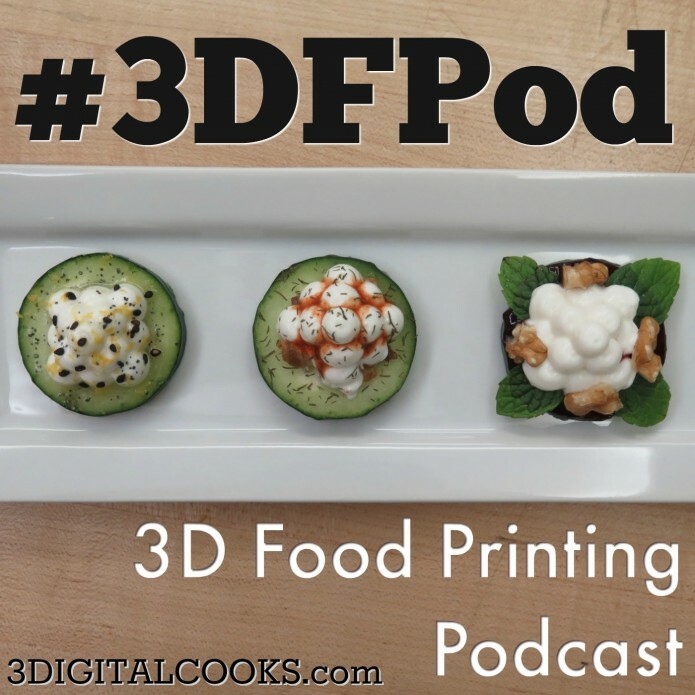 Thank you again for supporting these 3D food printing podcasts! It really means a lot to us!